Fresh from a ministry trip to Hydrabad, India, Nashville-based collective Here Be Lions releases its debut album, Only A Holy God, to a global audience. The project, which is already drawing critical acclaim, is filled with 12 scripture-based songs of reverence and repentance inspired by the salvation and healing that can only be found in a holy God. 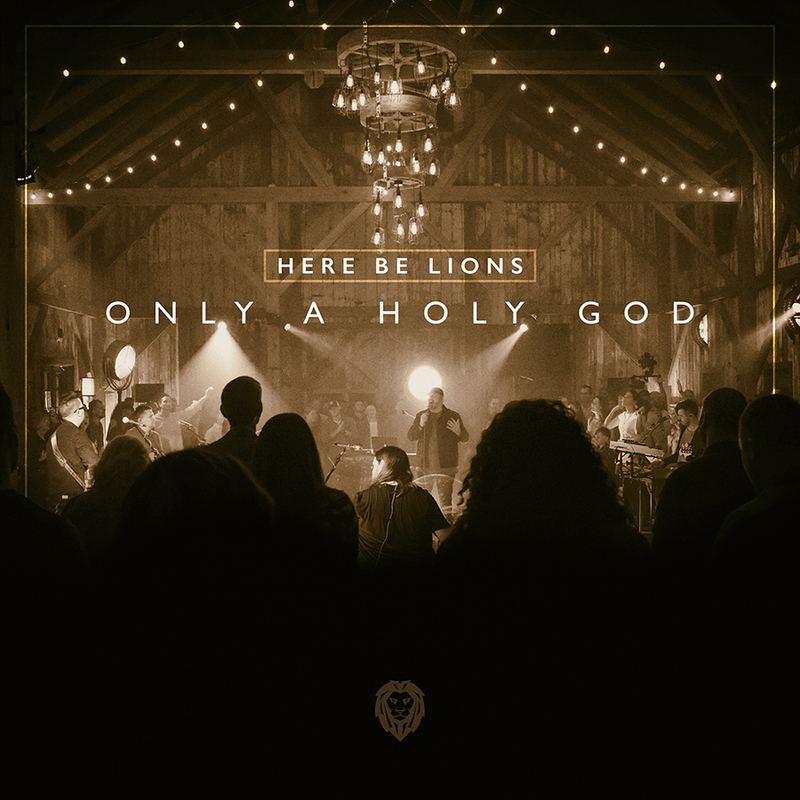 Working with producer Jacob Sooter (Vertical Worship), Here Be Lions recorded Only A Holy God live with guest vocalist Amanda Kinner and a small group of worshipers at Weston Barn near Kansas City, Missouri. The team, led by pastor and worship leader Dustin Smith (“God Who Moves The Mountains”/“Miracles”), has begun sharing stories behind the project, including two testimonies related to the songs “Power When We Worship” and “Belong To You (Enemy Can't)” with more planned in the coming weeks. They have also begun releasing lyric and live videos from the recording, including "Power When We Worship", "Only A Holy God" and “Belong To You (Enemy Can't)" with song-based devotionals now available through YouVersion and Bible.com. Both a worship band and a ministry collective, Here Be Lions takes its name from the ancient mapping tradition in which explorers marked unknown, dangerous territory with a symbol and the phrase “Here Be Lions.” Originally meant as a warning, the phrase has become a call for the Here Be Lions team to advance God’s kingdom and authority through outreaches that focus on discipleship, music and community by serving individuals, families and churches. The Here Be Lions worship team includes Dustin Smith on keys and lead vocals along with his wife, Jeanna, on vocals, James Galbraith on electric guitar and vocals, Garner McGregor on acoustic guitar, Jordan Clause on bass and Jeremy Weedman on drums. For more information on the music and ministry of Here Be Lions, including spring/summer events, visit HereBeLions.org and Facebook/HereBeLions. Follow them on Instagram @therealherebelions and on Twitter @herebelions. For song/worship resources for Only A Holy God, visit WeAreWorship.com.